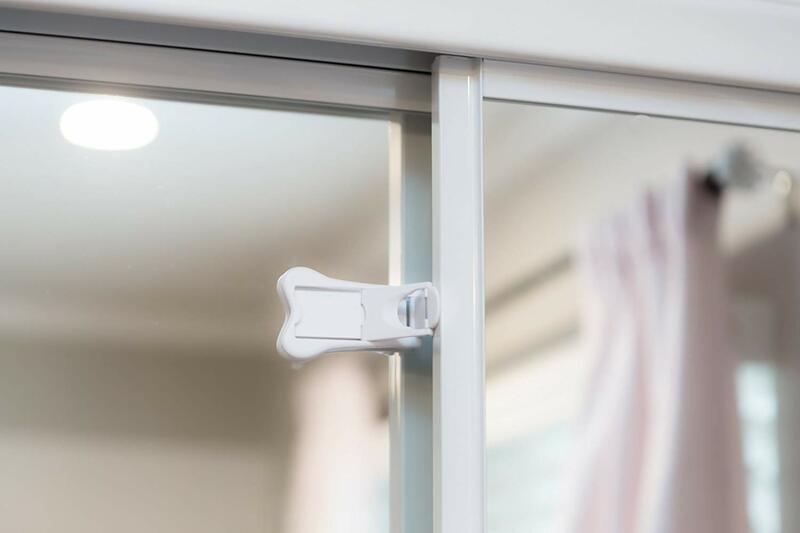 Safety is important and these Cutting Edge Home Safety and Security Ideas will ensure that you have everything you need to deal with safety and security issues in the home. There are many things that can go wrong in the home that can put you and/or your family in danger. Some of the things to consider are security issues and issues such as fire, natural disasters or accidental injury in and around your home. Prevention is better than cure and there are many devices you can use in your home to help prevent common accidents and issues. Because fires are more likely to start in particular areas of the home be sure to store these in convenient places. Consider putting them in the kitchen, near a fireplace or heater or anywhere else that you think is a good idea. Fire dangers are real in every home because there are many risks. If something goes wrong in your home and there is a small fire you will want to put it out immediately. 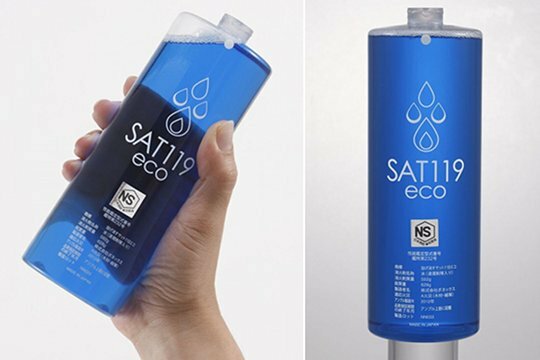 You should never attempt to get to close to a fire so these throwable extinguishers are a great idea. They are great because you can extinguish the fire from a distance. Unanswered knock at your door alert people to the fact that you are not at home. This amazing doorbell allows you to answer your door remotely at any time. You will find this handy when packages are being delivered as well. It will be possible for you to let delivery people know where you want them to leave your packages. This is useful because you want your packages to be safe and because visible packages advertise the fact that you are not at home. 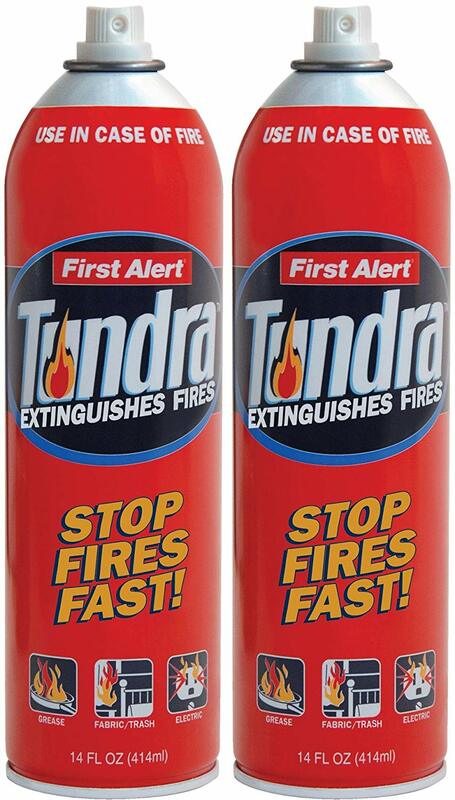 Stop fires fast with aerosol fire extinguishers. 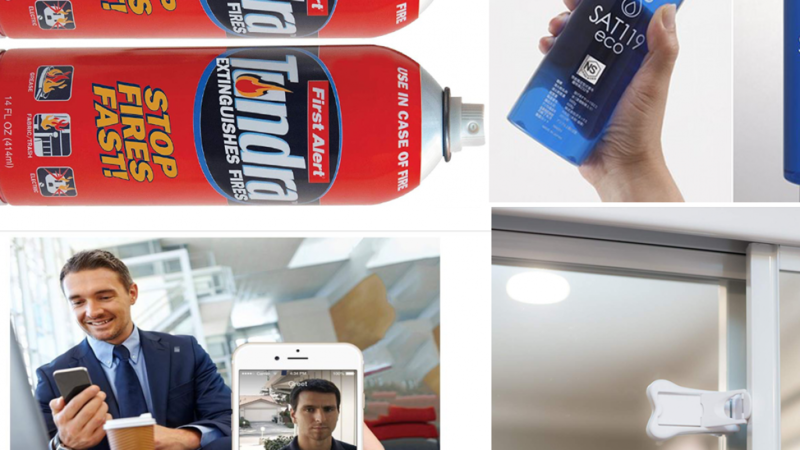 Not everyone knows how to use a standard fire extinguisher but everyone knows how to use an aerosol can. Small fires need to be extinguished quickly in order to stop them turning into big ones and this is the perfect way to do it. Simply point and spray to keep your home safe. 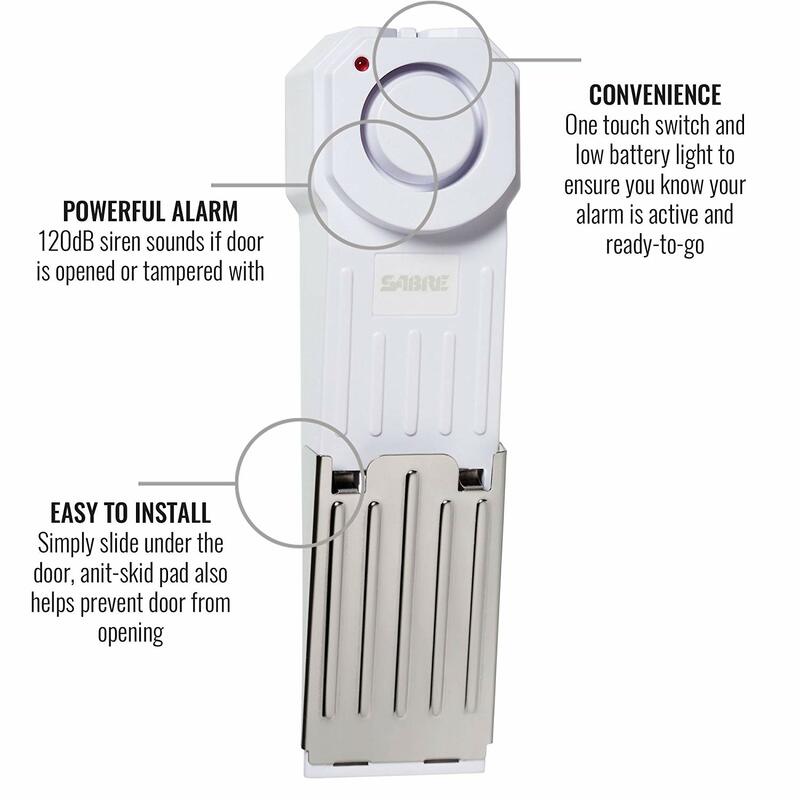 This doorstop has two functions that will help to keep your home safe. It sounds an alarm when someone attempts to open the door and it also stops the door from opening. The alarm is very loud and it triggers when pressure is applied to the door. There is a non skid pad which prevents the door from opening while the alarm is sounding. It is easy to install with no messy wiring or complicated installation processes. To power it all you need to do is insert batteries. Be sure to test the alarm periodically so that you know when new batteries are required. Sliding doors can be a security issue and a safety issue. If you live in an apartment building you will want to ensure that children can not access the balcony unsupervised. Choosing the right houseplants is very important because surprisingly some common houseplants can pose a risk. Houseplants are great because they can help to purify the air inside your home. They can however become deadly when eaten. You probably don't plan to eat the houseplants but this is important if you have curious pets or young children. 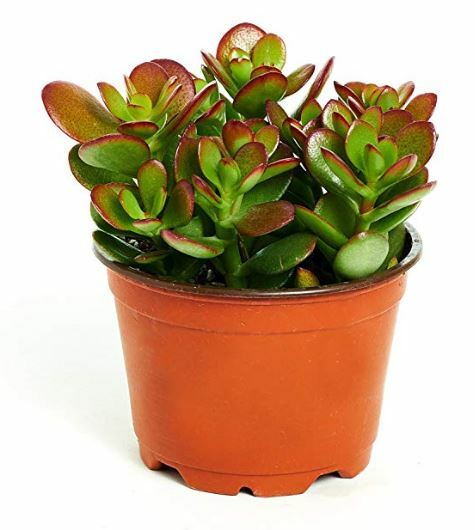 Some recommended houseplants are the Jade Plant like the one above, African Violets, Spider Plant, Miniature Roses or Christmas cactus. 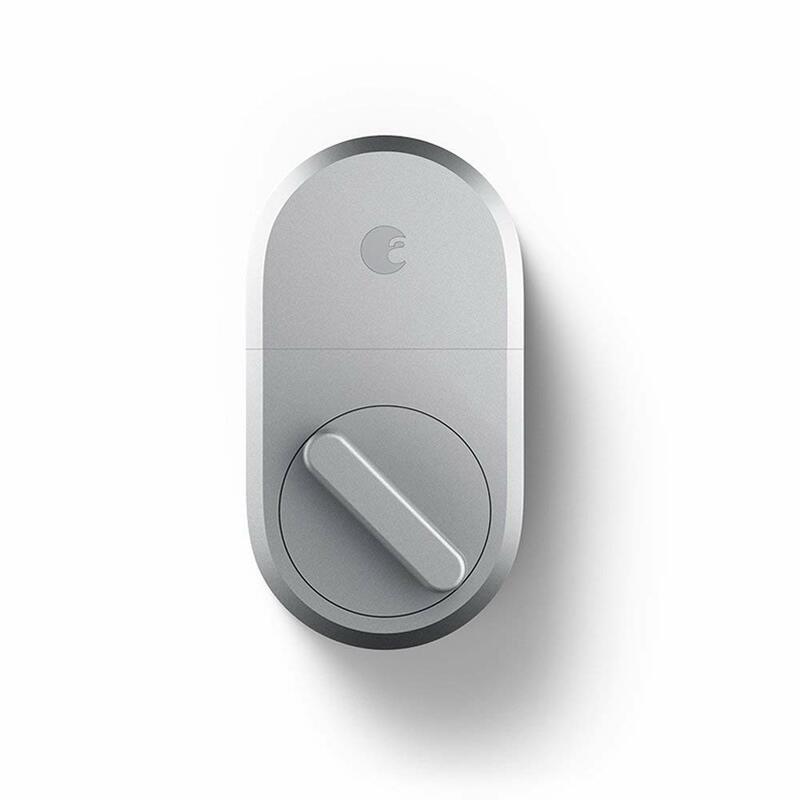 This keyless lock is great because it allows you complete control over who enters your home. 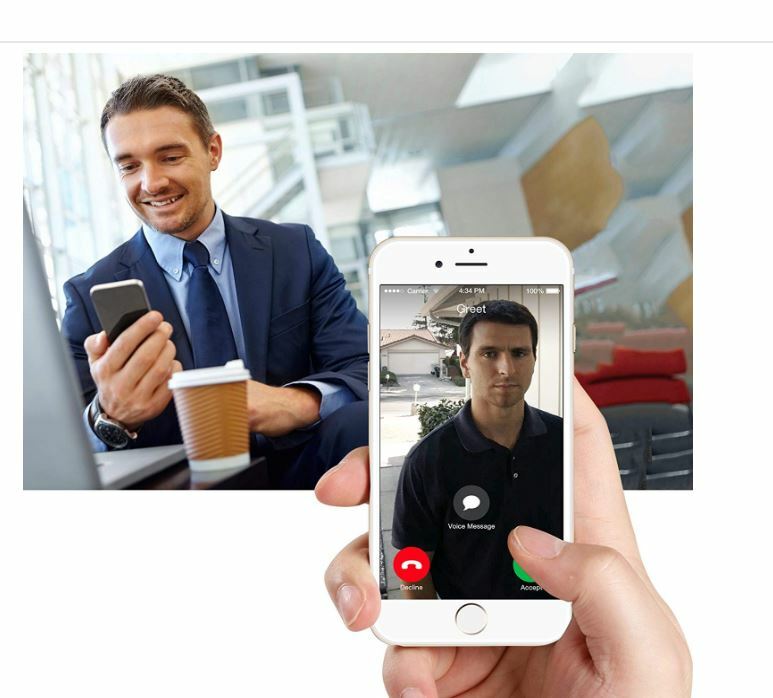 It works with Alexa and allows you to keep track of who enters your home even when you are not there. 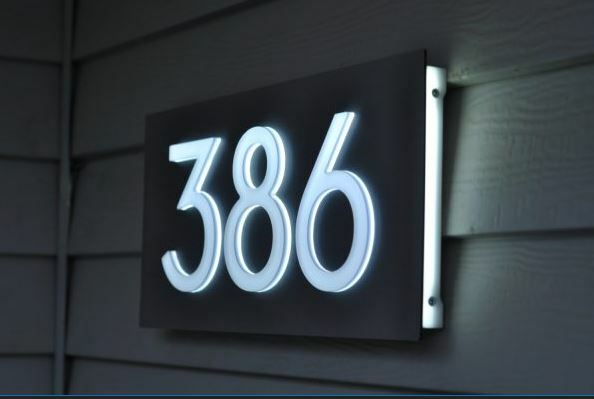 These LED light house numbers could save your life or the life of your loved ones. It is important that hose numbers are visible during the day and during the night. This is so that emergency services can easily locate your address if needed. Sometimes the few extra minutes it may take the emergency services to identify the correct address can cost lives.